Finally mgt to get a glow lacquer tt is colorless under the sun.. Meaning it is as good as just a top coat.. 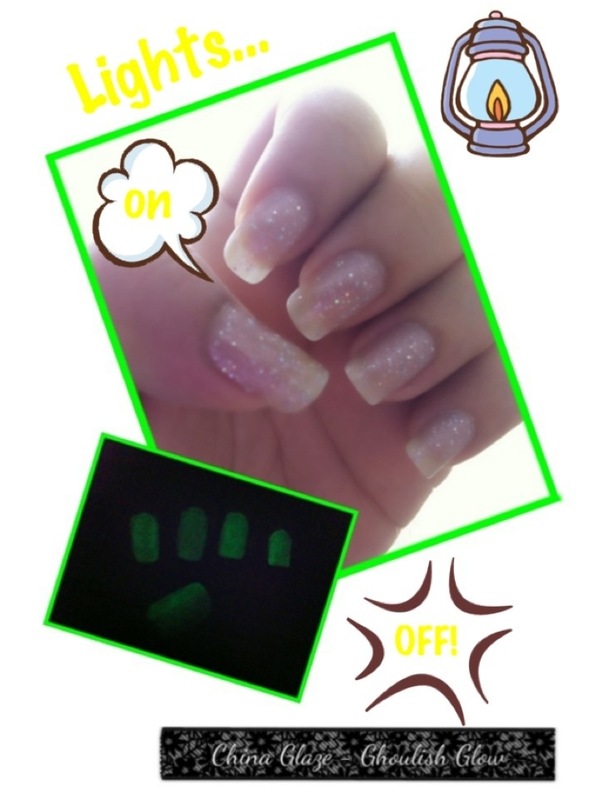 Previously had been eyeing on OPI’s Zom-body to Love.. But the fact tt it is Green in color made mi think twice.. 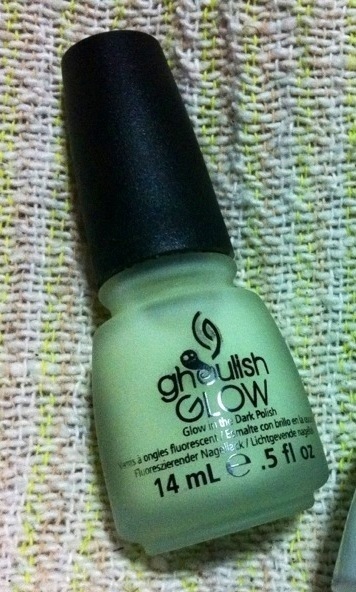 Thank god I found China Glaze Ghoulish Glow! Exactly what I wanted! Cool…! 话不多说, see below pic and u know wat I mean!! Do note that base lacquer is OPI Teenage Dream, Ghoulish Ghost does not comes with glitter!! Lolx!